LUCY is the given name of the first hominid that had walked erected, and it is a women estimated to have been living 3.2 million years ago. LUCY is the symbol of the continuous evolution of the human race, and the name of the innovative Digital Inclusion initiative conducted by LUCYTECH and Dominic Foundation, to provide full access to the internet and related e-services to all people around the world, in particular to the most deprived. 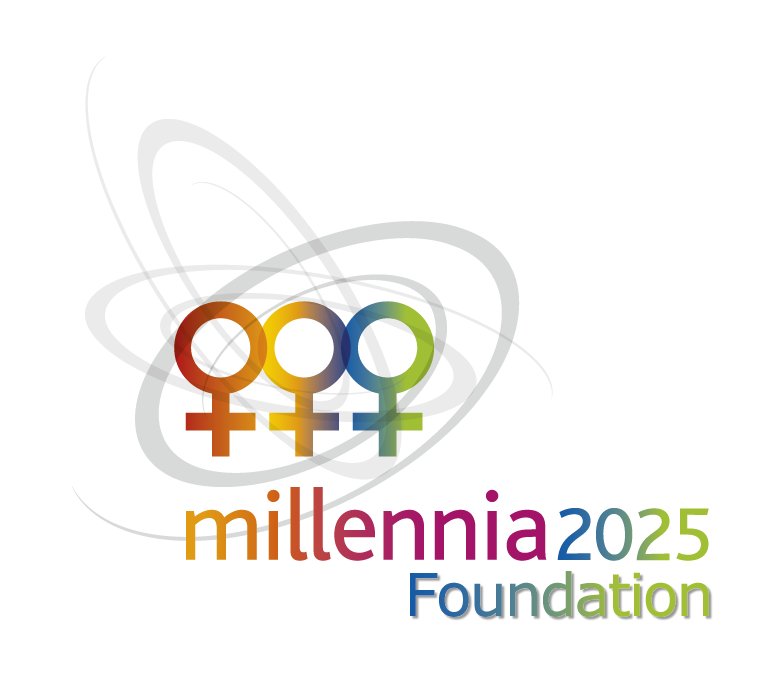 Millennia2015's Women and eHealth (WeHealth) commitment is to highlight women's crucial role in the global health arena and their unrecognized capacity as builders of alternative futures, based on characteristics such as an innate future orientation, capacity to mediate and to network at all levels, capacity to be social actors, to face natural catastrophes and human conflicts by saving lives and creating solidarity among women. As most women remain the forgotten group in many countries, together, LUCYTECH and Millennia2015 WeHealth have decided to join their forces and launch WeLUCY an innovative Digital Inclusion Cloud Computing Model dedicated to women. Health care is primarily about people-to-people interactions. It is about understanding, diagnosis, physical contact, communication, and, ultimately, providing care. By bringing people together, telecommunication technologies have the potential to improve and guarantee both the quality of and access to health care in the remotest areas of the developing world. Telemedicine offers solutions for emergency medical assistance, long-distance consultation, administration and logistics, supervision and quality assurance, and education and training for healthcare professionals and providers. The overall objective is to promote gender equality and women empowerment through the access and use of advanced technologies combined with innovative integrated collaborative leadership programs. 1. To accelerate the provision of eHealth services to all women, especially to the developing world, in the context of the UN Millennium Development Goals 4 and 5, as a global framework. 2. To contribute to the drastic reduction of maternal and child mortality by 2015. 4. To empower and actively support women health care professionals, leaders, and IT designers working in Telehealth and Telemedicine, at political, economic and social levels. By making all ICTs fully accessible to women, WeLUCY improves the communication between patients and the health professionals, facilitates access to the healthcare services and content; and provides cost effective connections in case of emergencies. WeLUCY will benefit of the methods of work in place at LucyTech and Millennia2015 WeHealth to stimulate interactions and increase the number of women proficient in the provision and use of eHealth services, telemedicine and/or telemedicine services. The methods of work follow the scientific, technical and ethical requirements described in the WeHealth Concept Note . The first model is initiated at the University of Technology in Panama, WeLUCY Panama is planned to offer to women a series of online health services, carefully selected by an international expert team along severe criteria of quality, local ownership and sustainability. In accordance with the WeHealth 10 Key Findings 2011, the information is accessible through the Web by any devices like Personal Computer, smartphones, tablets, at limited or no cost, and in local languages and more important with localized content and e-Services. WeLUCY Panama is expected to expand to Latin American and Caribbean countries, namely WeLUCY LAC, to offer eHealth services in Spanish to all women of the region. As next steps, we are already working on defining WeLUCY PA (Pacific Asia, with local servers in Singapore), WeLUCY Gulf (Arab States) with possible hub in Doha (Qatar), WeLUCY Africa and WeLUCY EU serving all women in West and Est Europe with a possible hub in Switzerland. In conjunction with a selection of initiatives such as the Global Women South-South Digital Inclusion initiative supported by the First Lady of Panama, Millennia2015 WeHealth, WeTelemed, the WeLUCY Knowledge Base is expected to constitute a unique open exchange platform, easy to access and use for women and offering high quality health information, advice and training. Women will benefit of a dedicated and secured space to express and share their opinions, ideas and solutions, illustrated by their local experiences and stories in daily healthcare.